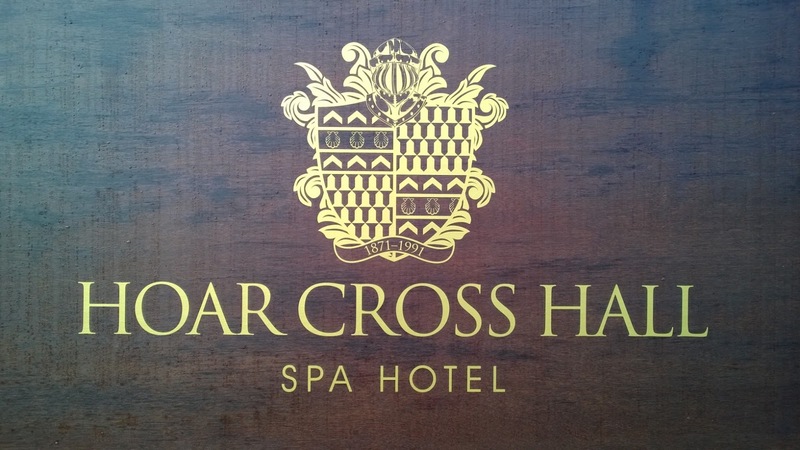 A couple of weeks back Emily had the offer of going to Hoar Cross Hall Spa Hotel for the day and taking me with her. Were we about to decline? Hell no! Are you mad? I let out a great big "whoopeeee" the minute it was confirmed we were going. 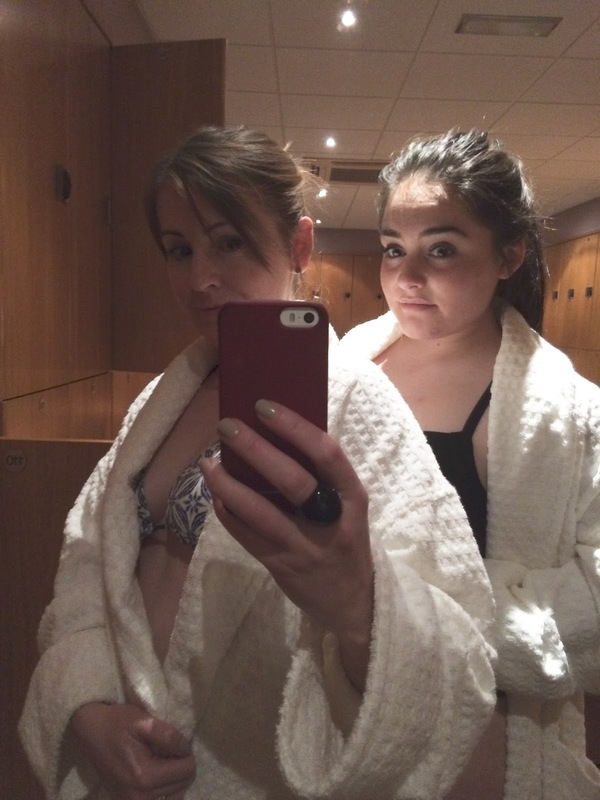 I'd heard of the spa before but I was soon on the internet looking at all the pics and mentally planning our day. 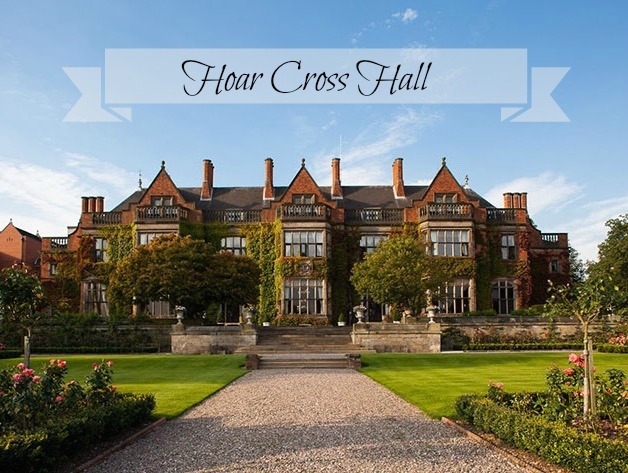 Hoar Cross Hall is set in 50 acres of English countryside and is a Grade II listed stately home retreat and a truly magnificent building with vast picture perfect gardens and lakes for you to enjoy. We arrived around 10am, met Suzie who gave us a mini tour, picked up our dressing gowns and headed off to the changing rooms. We'd got some classes booked just after lunch so rather than start off with all the spa facilities we made a beeline for one of the cafés and grabbed ourselves a drink. We thought it best to have a mooch around ourselves to get our bearings, this place is huge and at one point when we were searching out the restaurant which is on the other side of the spa, we thought we'd took a wrong turning as we were up some stairs, downs many corridors and passing all the bedrooms, and then through the reception were overnight guests check in, we were waiting for someone to shout up "you two get back to your day spa quarters" but no, we made it through to the Long Gallery, sussed out the joint and then headed back to the spa area to relax with our magazines until lunch and then the classes. We tiptoed into the relaxation/sleep room and hastily tiptoed back out as it was rather full, road tested some massage chairs, (wanted to take it home with me) before finally parking our bums on some comfy chairs near the café. We had a light lunch washed down with a cheeky Bellini each and sat looking out over the grounds watching people coming and going, it was a rather busy place. Our day didn't include lunch so I'd love to go back and sample the three course menu as the food looked delicious and perhaps a sneaky little overnight stay too, I'll have to speak nicely to Mr C! All too soon it was time for our first class. I'd not been in my gym gear for quite some time and actually Em too, as we both had surgery late last year, we've had to lay off all exercise so we knew we had to be careful and not overdo it in any way. We found the studio okay and nervously waited outside like lambs to the slaughter. Emily's friend Suzie was the instructor for 'Clubercise'. We've both done Zumba and other dancey type classes before so had an idea we'd enjoy this one. On entering the studio we were instructed to pick up two glow sticks each. Emily and I, and everyone else for that matter promptly pressed the buttons, got them flashing away and started waving them around like lunatics and other using them as a make-shift lightsaber. The lights were turned right down, very nearly off and the music turned on and up very loud, just how I like it. Clubercise had begun and we were transported to Ibiza! Everyone couldn't help but sing along too to all the club tracks. Before we knew it the class was over, and we were sad, personally I have never been sad about an exercise class being over before, EVER. Oh my god, it was great, so much fun and because it was really dark everyone just let go, lost their inhibitions and went wild with the glow sticks.We were careful of our shoulder and wrist but we both came out buzzing and energised. I need this class to come to my gym AND Suzie please. I've got to say I've never met Suzie before but she made that class, she got us all motivated and pumped up. We wanted to do it all again so that's saying something! Our second class was less energetic, pilates. Up until I had my surgery Pilates was a regular class of mine and I intend to get back to it as soon as my shoulder allows. We took this class at our own pace and really enjoyed it, winding down just in time to hit the spa. Spa changing room selfie has to be done! 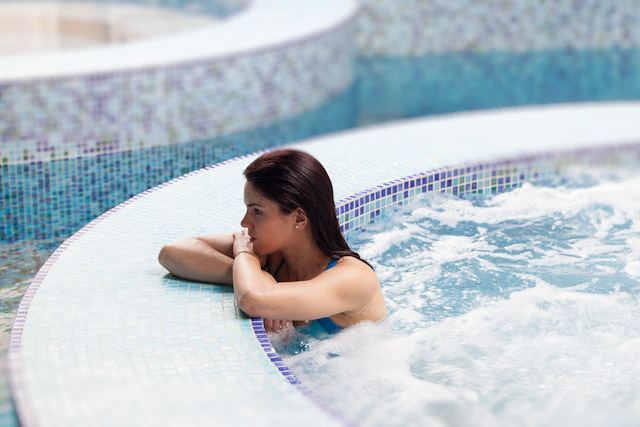 With so many luxury spa facilities it's hard to choose where to go first. We started off in the first pool we came to, a swimming pool with a starlit cave no less! 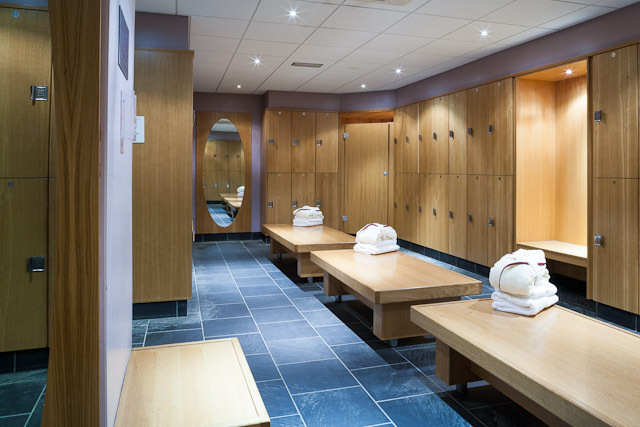 Then the saunas, which are my favourite at any spa as I feel like the rubbish and toxins are being flushed out of my face, bye bye spot causing nasties. They have the aqua massage area where you can see your cellulite being pummelled, if you have it that is, and then the ice cold plunge pool. Everyone but me was scared to go into this, I do love it, you've just gotta go for it, it's a shock to the system, but I am brave. In another area they have the hydrotherapy pool, like a warm bath, with body massage jets to help melt the stresses away. Someone loved the whirlpool in this part...ahem.....Emily. 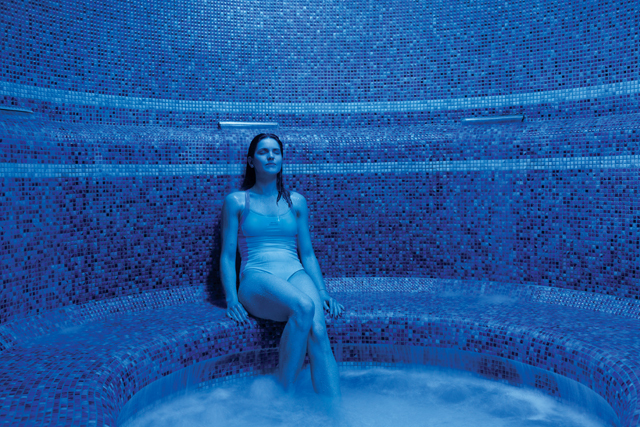 She didn't want to get out so I left her bubbling away and went into the Nordic heat and ice suite, a unique sensory experience inspired by Scandinavian spa rituals with four different zones to stimulate the different senses. Another one of my faves. We thoroughly enjoyed getting back into a bit of exercise and had a blissfully relaxing afternoon but most of all it was lovely having some mummy and daughter time again, which I'm really enjoying of late and I hope it continues. 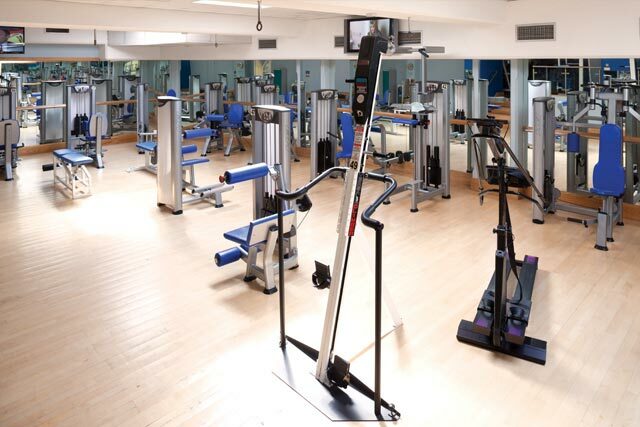 Hoar Cross Hall has so much to offer, from the spa facilities, good food, treatments to fabulous gym and classes. If you fancy being pampered or treating someone else you'll find all the details right here. Do you like a good spa day/stay? 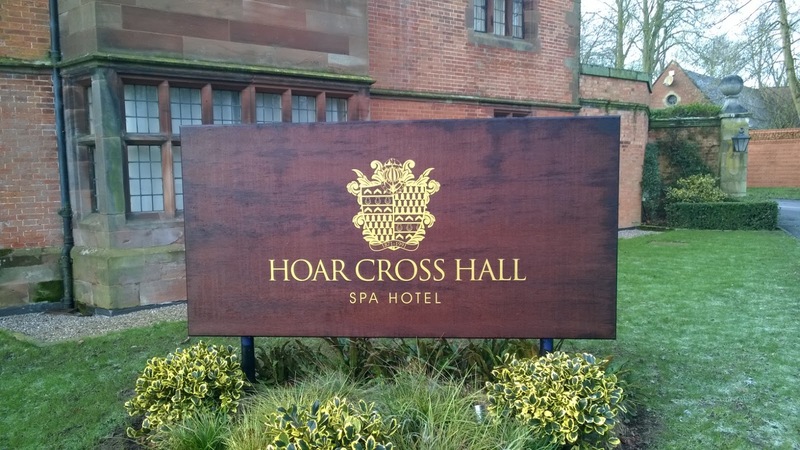 Have you been to Hoar Cross Hall? Sounds and looks amazing! I've never had a spa day, would love to go on one so much! 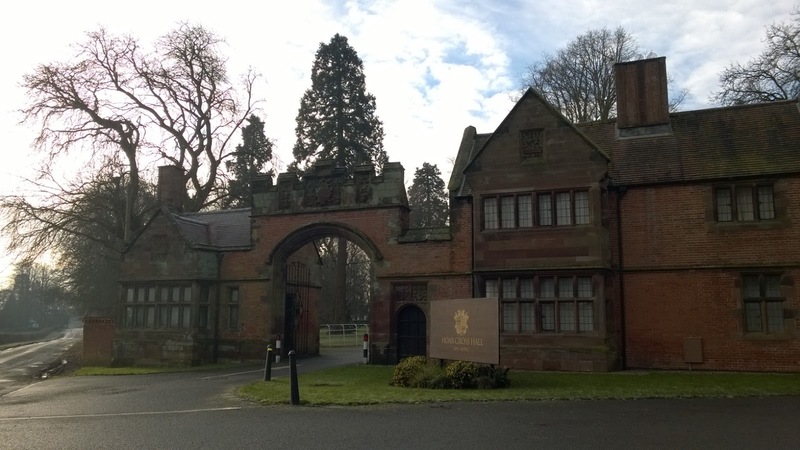 I'm from Stafforshire so hear about Hoar Cross Hall all the time although i've never actually been before! Clubercise sounds amazing, I see it popping up all over the place at the moment and I really want to try it!